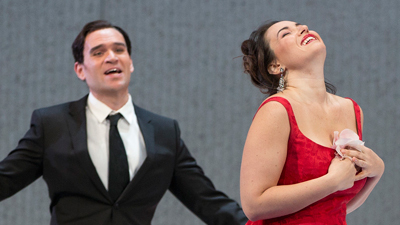 Diana Damrau is heartbreaking as Verdi’s most beloved heroine, the courtesan Violetta who gives up her lavish life for the sake of true love—only to be forced to renounce the one person she cares about. 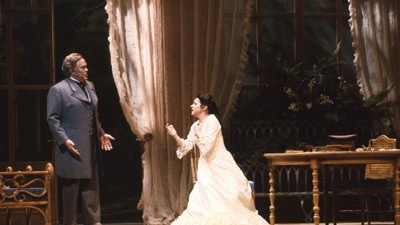 Legendary tenor Plácido Domingo takes on the baritone role of Giorgio Germont, the father of Violetta’s lover, Alfredo, sung by Saimir Pirgu. Rising conductor Yannick Nézet-Séguin is on the podium.